Hey everyone! 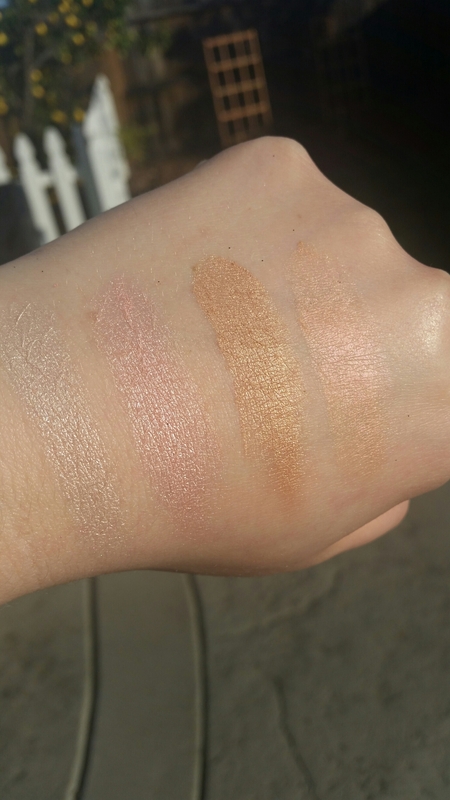 Today’s review is on the Anastasia Beverly Hills Glow Kit in the shade Gleam. The first point I’ll make is that this palette is a FANTASTIC deal. Each pan (which is also magnetic and easily removable) is 0.26 ounces, and you’re getting four pans for $40. A Becca highlighter is 0.28 ounces and you get one shade for $38. 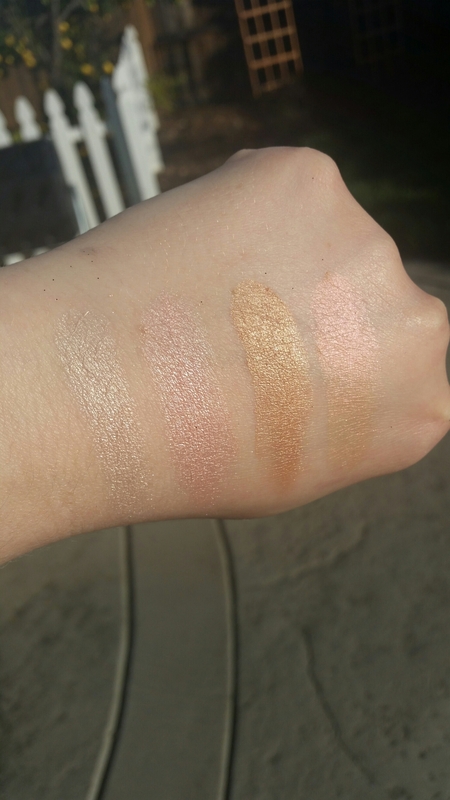 You’re basically getting four high quality highlighters for the price of one high quality highlighter! Speaking of high quality, this palette is just that. The shades are pigmented, blendable, long lasting, and beautiful! I feel like these highlighters don’t contain as many tiny shimmery particles like my Colourpop and Becca highlighters which I appreciate. The four shades are Crushed Pearl (off white with pink and silver tones), Starburst (light pink), Mimosa (bronze/gold/peach), and Hard Candy (bronzey gold base with bubblegum pink duo chrome). 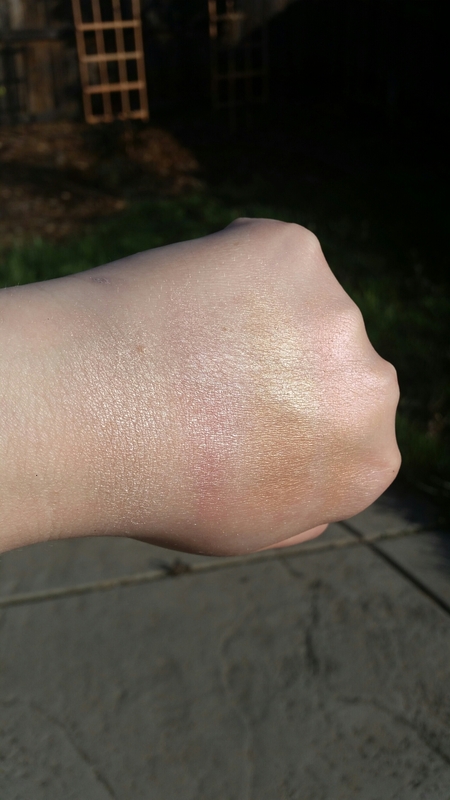 For comparison, Becca’s Pearl is brighter and whiter than Crushed Pearl and Becca’s Moonstone is lighter than Mimosa. 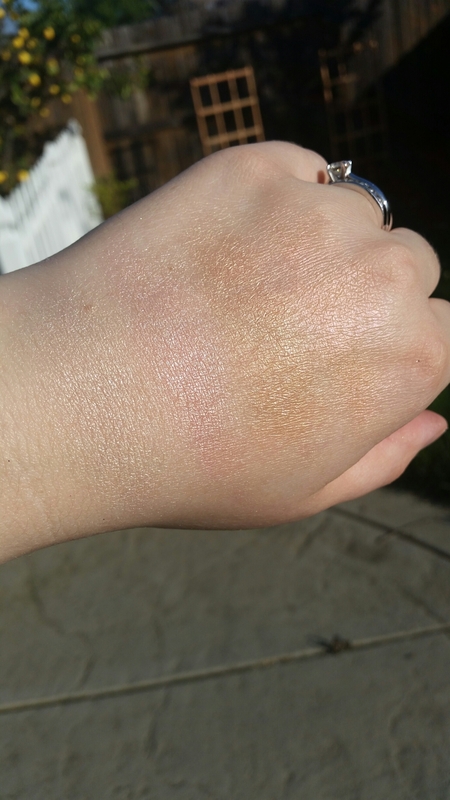 Crushed Pearl and Starburst work nicely for fair skin whereas Mimosa and Hard Candy might pull too dark. But these can be used as eye shadows and blush toppers as well. Agreed! Love the pink tones! Agreed, so lovely 🙂 and such nice quality! So pretty! Adding to my list of things I want!! Are you not updating Bloglovin anymore? I just realized you have a bunch of posts I haven’t read and didn’t see on Bloglovin.